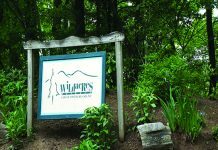 Note: This is the first installment of my new blog, Common Ground. A few times a week I'll use this space to share my thoughts about information, specimens, events, and people within the rock, gem, mineral, fossil, and lapidary community that I find inspiring and fascinating. The subject of the Parting Shot feature of the November issue of Rock & Gem is the inspiration behind my exploration of the mineral Chalcopyrite for this blog post. The specimen (shown above) actually presents with chalcopyrite and dolomite. I couldn't tell you exactly what it is I find so enchanting about this example. I think it's the composition in its entirety. From the iridescence and its unique shape (which reminds me of an acorn or a badge) to the location of its discovery in the Sweetwater Mine in Reynolds County, Missouri, this specimen appears to have a story to tell. 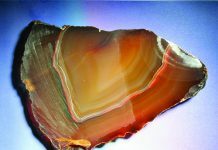 Of course, I think that's true of all rocks, gems, minerals, fossils, and examples of lapidary art. Sometimes their stories are clearly apparent and sometimes they are less obvious. 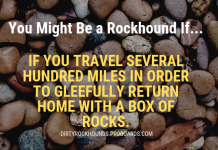 However, just like minerals retrieved from the earth, a little digging can often reveal incredible natural treasures. 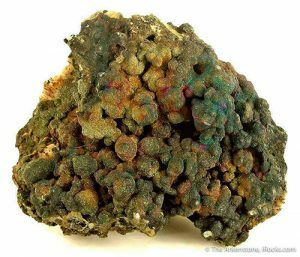 With that, here are 5 facts about chalcopyrite that I find fascinating and I hope you will as well. 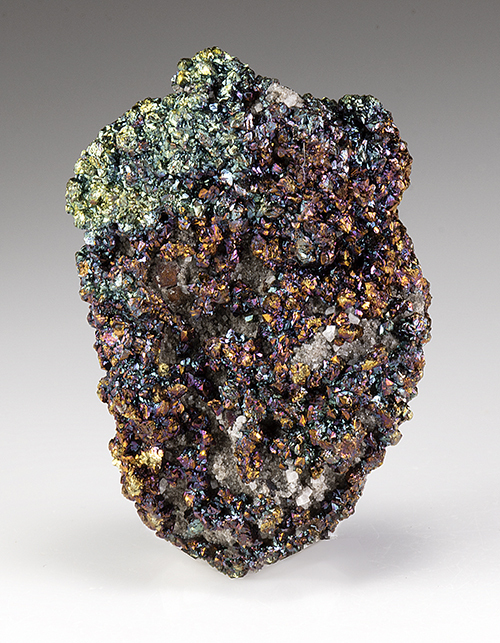 For more than 5,000 years, chalcopyrite has served as the main copper sulfide mineral. It's formula is CuFeS2. Its formation is versatile, although much of it occurs in hydrothermal conditions. 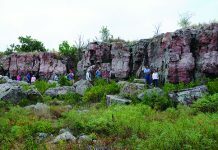 According to an article by Hobart M. King, Ph.D., RPG, appearing on Geology.com, its presence has been reported within igneous rocks, pegmatite dikes, and within schist. Chalcopyrite could be considered a global resident of mineralogical standing. Quantities of this mineral have been mined in England, Sweden, Canada, South Africa, Chile, Germany, and within Utah, Nevada, and the Upper Midwestern states of the United States. It's a chief component in the development of modern electrical wiring due to its high conductivity, softness (3.5 - 4 on Mohs Hardness Scale), and ability to fend off corrosion, according to information on the University of Minnesota Minerals Page. The man noted for naming chalcopyrite in 1725, Johann Friedrich Henckel was a German physician whose love of nature and chemistry took shape early in his life, according to information at www.encyclopedia.com. His skills and training as a physician led to him to serve the medical needs of residents of a productive mining community in Germany, first as a district and town physician and then as the physician providing medical care exclusively to the miners.